I had a chance to see Fela! at The Paramount in downtown Seattle this week. 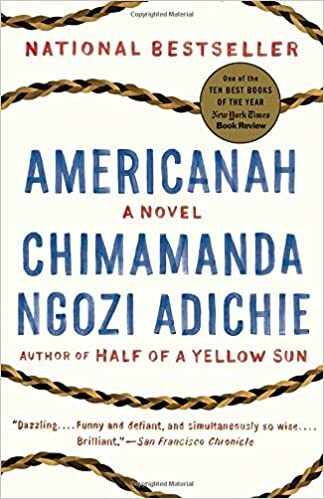 The music really gets me moving and the first act was incredible – athletic, engaging dancers, gorgeous choreography, beautiful costumes (I want that black and yellow ensemble – the way those skirts move – wow!) and a lead actor who carries the whole audience with him as he tells the story of his character, Fela Muti. Adesola Osakalumi is amazingly captivating. 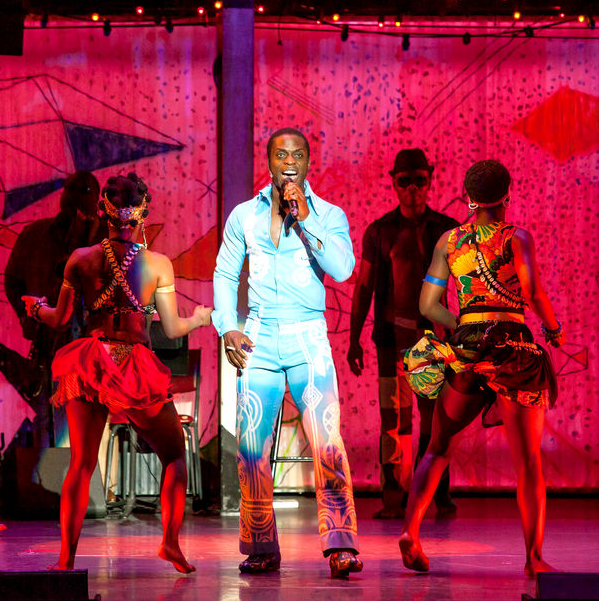 His charm, charisma, moves and passion get the audience on their feet to dance with the cast early in the show and take us through the experience of Fela! Addressing a very serious subject (political activism in a corrupt Nigerian society) is very challenging within the style of musical theatre. The beginning of the show is fun and energetic while the second act is marred with the reality of things that happen to Fela and his family. While I loved the first act, the second act left me wanting more. It’s incredibly challenging to stay true to history while keeping the energy that the audience experiences in the first act alive, but I believe the book could be stronger – celebrating how the energy and music and message of Fela lives on, even after his death to end the show. It seemed to try to do this, but fell short. The storytelling of the show is also problematic – most of the show is just Fela talking to us about what happened to him between songs, rather than having the action take place on stage. I did love the use of subtitles in the art projected on the back of the screen, however, which helped the audience understand more of his message during the show. Michelle Williams I believe was a casting mistake – her vocal power is weak and her sound didn’t match the rest of the cast. She wasn’t able to make the leap from pop singer to actor and the sound of her voice was distracting. Luckily, the talent, sound and power of Osakalumi, the amazing dancers and the incredible band made up for this, however. The music is incredible, the dancing is incredible. I think the second act has some real problems. I was expecting to learn more about what Fela was protesting than I did. But all in all, I’m glad I got a chance to see this show. There will definitely be more afrobeat music in my future – something I didn’t really have on my radar before hearing about this musical. This show won Tonys for Best Choreography, Costume Design of a Musical and Sound Design of a Musical. Buy tickets here (closes June 2nd). « Fela! comes to Seattle May 28th – June 2nd + 20% off code + free after-show dance parties! second layer of the skin at the chest area as well.